WHY IS THE TTF CLINIC NEEDED? In the urban compounds around Lusaka where TTF work, government clinics either do not exist or they are overwhelmed by the ever growing population. When an individual first finds out they are HIV+ or if a child is tested as positive, attending a government health facility can be a hugely daunting process, with long queues and limited patient time. At the TTF Pediatric Clinic we work to support some of the most vulnerable HIV+ children, adolescents and pregnant women. We support HIV+ children aged 0 through to 20, helping individuals most in need by providing them with the full range of medical care and counselling services needed in order for them to lead healthy, productive lives. Follow up and drug adherence support. As of 2017 we have over 850 patients registered at the clinic. 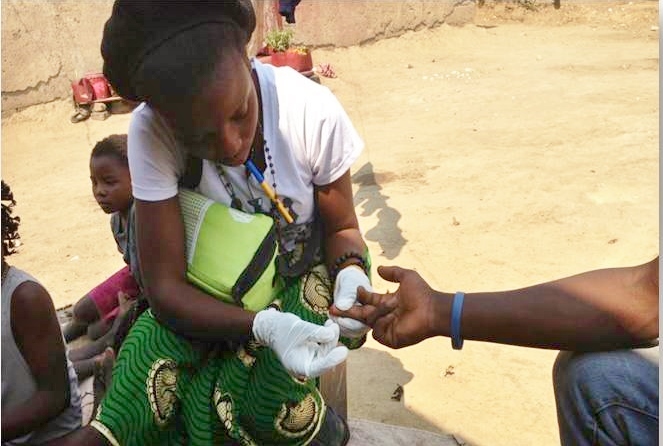 By working in partnership with both the Ministry of Health and Ministry of Social Welfare, TTF is viewed as an essential component in the provision of ARV’s for children in Zambia. HOW IS THE TTF CLINIC HELPING? Adherence counselling and treatment plans for patients and care givers. Once we are satisfied that an individual is totally healthy; old enough to understand their status; and are leading a positive life, we will work with the patient to transfer them to a local clinic, where they can continue to receive their ARV medications. Even after a patient has transferred out the TTF Clinic, where possible, we remain in contact with them to ensure their continued health and that they remain part of the TTF family. 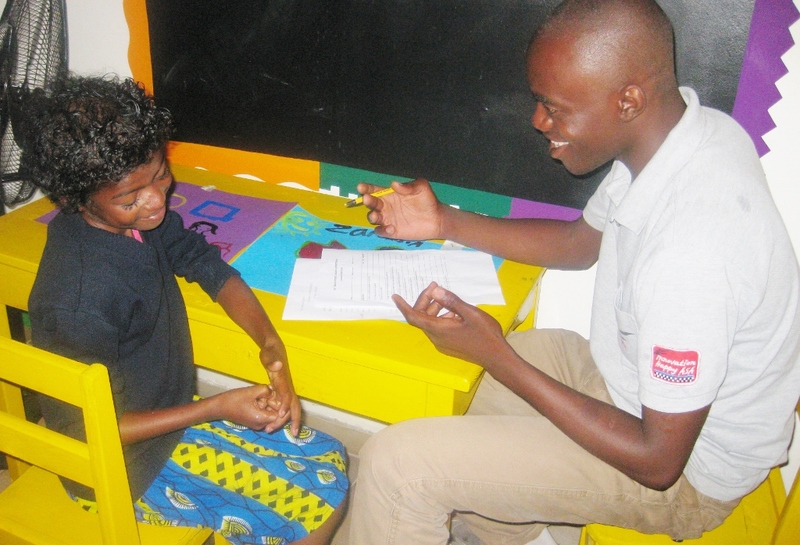 In order for a child or adolescent to feel comfortable with their HIV status, one to one counselling is required. Our sessions with trained counselors and social workers enable a child to talk about their personal difficulties and experiences, and to ask questions which they may not yet feel comfortable talking about in a group session. Each client at the TTF Clinic is provided individual case management by our team of social workers and counselors and offered 1 hour counselling sessions based on their need be it adherence counselling or psycho social counselling. By carefully monitoring the children and adolescents who come to the clinic we can provide a mixture of support to help them to lead positive lives. Where our medical team think a child, adolescent or care giver requires additional support they are then enrolled into our group counselling sessions. Taking ARVs at the same time every day (or adherence) is vital to the success of treatment. Without strict adherence, ARV treatment doesn’t work well and the disease is more likely to spread. Adhering to ARVs is the key to halting the spread of HIV infection. HIV+ children and adolescents are particularly vulnerable to adherence issues. Medications often have difficult side effects, and children and adolescents in particular may worry about the stigma of being identified as HIV+. Very young children may not know they are HIV+, so it is up to their parents and caregivers to ensure that they adhere. 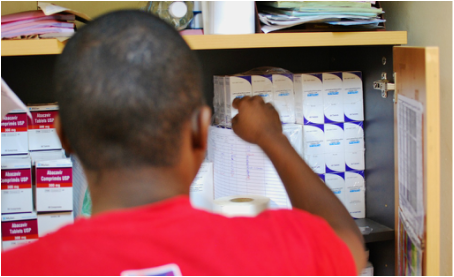 At any one time up to 20% of our patients are missing appointments and the collection of their ARVs. To ensure that we don't lose contact with these children and adolescents, in 2015 we have launched a strict follow up programme. We have begun providing in clinic and in the community adherence counselling to ensure that all of our patients do not fail on their medications. This involves a mixture of counselling, disclosure support for care givers and regular patient contact. Alongside our registered patients, TTF Clinic also offers voluntary counselling and testing services for individuals who walk into the clinic or are brought by our womens groups. We work with 20 local volunteer women within the community to help identify at individuals who potentially could be at risk of HIV and bring them to the TTF Clinic. Our women’s groups have been trained by the TTF social work team to raise awareness of HIV transmission, stigma and discrimination and sensitise the communities on the importance of testing. 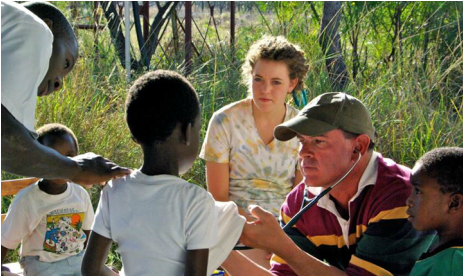 They provide a vital link between our clinical and social teams and those needing treatment in hard to reach areas of the community. Without their support many of the children who they identify would be unknown to TTF and the health care system.